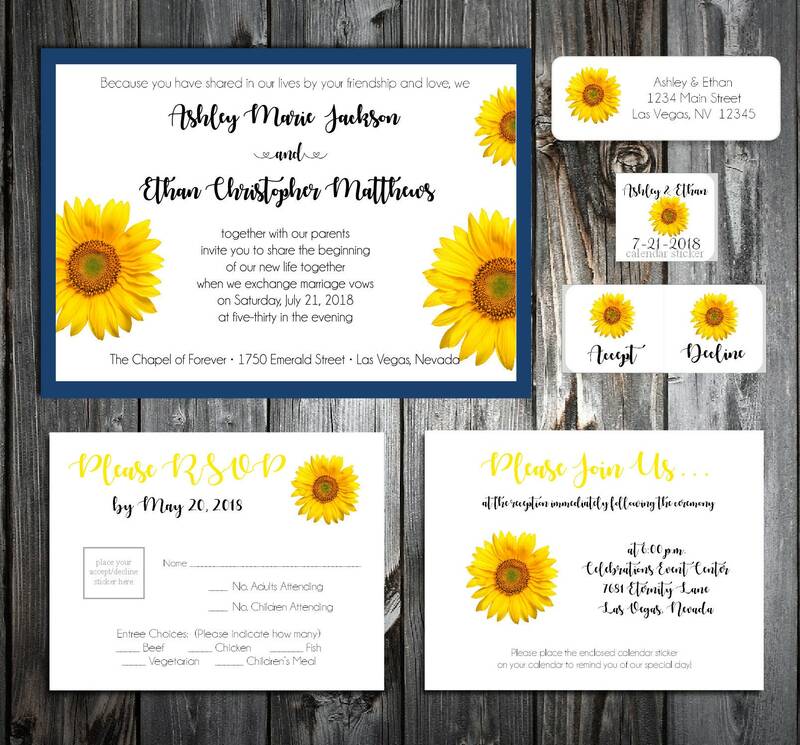 Sunflower Wedding Invitations Stationery Set. Invitations: Measure 5" x 7" . These are a 2 layer invitation. 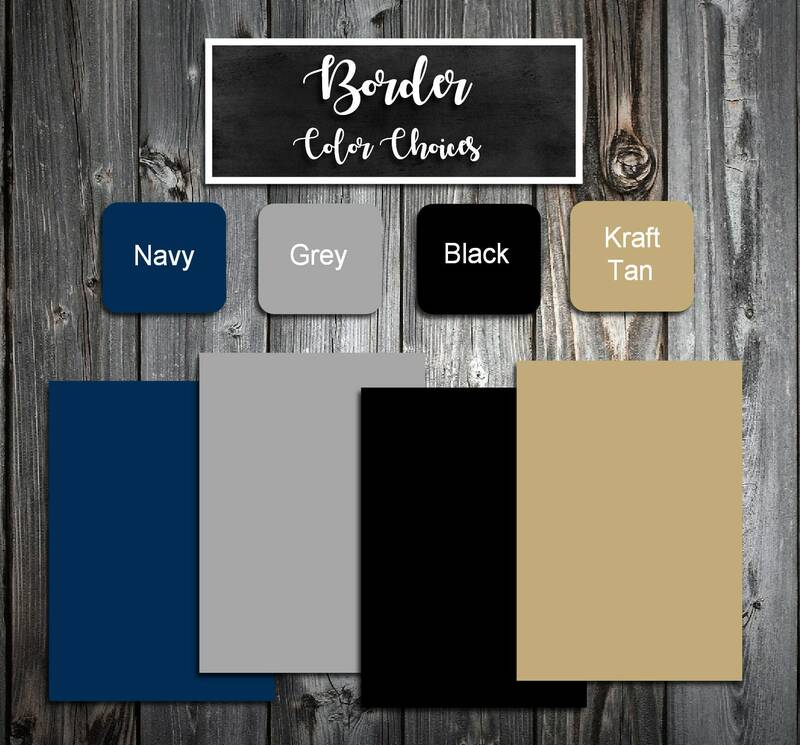 Bottom layer is a colored cardstock (Bottom layer cardstock choices: choose from colors listing in picture) Top layer is printed on white or ivory textured stationery. Top layer will come attached to the bottom layer. Each invitation comes with an envelope, matching return address label and calendar sticker. Your wording can be totally customized to what you want on these. Price includes black ink for main wording. 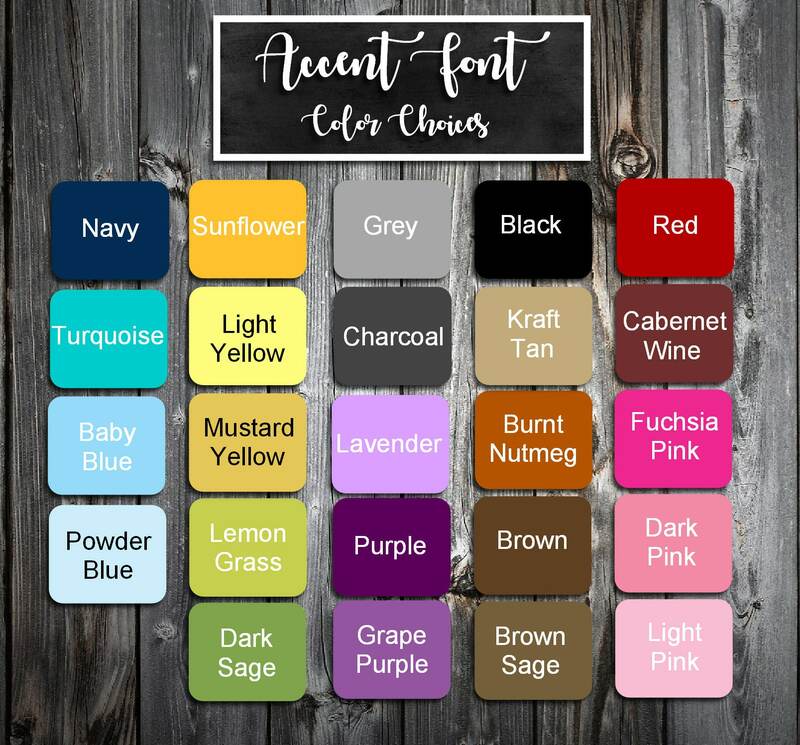 & sign color can be changed to match border color or color of choice. Calendar Stickers: Measures 1" x 1 1/4" and fits most calendars. Comes in white only. Bride and Grooms name and wedding date. Colors will match invitations. RSVP's: Measures 5 1/2" x 4 1/4". Each RSVP comes with an envelope, matching return address label and accept/decline stickers. Printed on white or ivory textured stationery. You can also include dinner choices if needed. 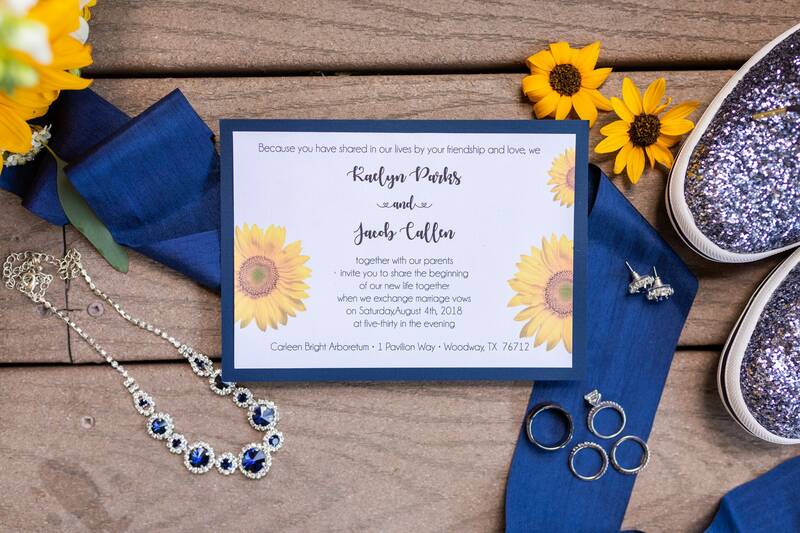 Your wording can be totally customized to what you want on these and will match invitation colors for wording. Reception Sheets: Measures 5 1/2" x 4 1/4". Printed on white or ivory textured stationery. Your wording can be totally customized to what you want on these and will match invitation colors for wording. After you purchase be sure to read your order confirmation email for instructions on how to submit your wording. After you recieve your proof you can let me know if any changes need to be made. Just keep note that each email can take up to 24-48 hours to answer so be sure to have others look over your proof so the proofing process can go quickly.